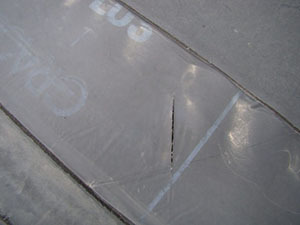 Rubber roof repair in West Mifflin, PA can be quick and simple. Often, these repairs can extend the life or your roof by years and are very affordable. If these minor repairs are delayed, though, they can quickly turn into bigger, expensive, and time-consuming repairs or replacement. 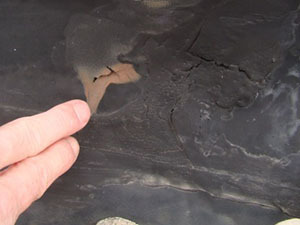 Call a company that you know that you can trust to repair your rubber roof promptly and expertly. Call Capital Coating. We handle all types of commercial flat roof repair including rubber roofs. Call us now at (717) 442-0979. One of the most affordable and longest lasting commercial roof choices, rubber roofing, also known as EPDM, is a smart choice for flat roofs. Flat roofs are prone to leaks because they have very little slope for water to drain properly and they often suffer sun damage because they are never in the shade. Rubber roofing repair in West Mifflin, PA can bring your flat roof back to life making it waterproof and UV resistant which can add years to the life of your roof. Rubber roofing reflects the sun’s heat making your entire building more energy-efficient. This means that you will save money on your energy bills if your rubber roof is in good condition and functioning properly. Not only will you save on cooling bills, you will also save on heating bills as rubber roofing acts as a good insulator in the colder temperature, keeping your building warmer. When it is in good shape, your rubber roof has many advantages over other roofing options but if it is in need of repairs, your roof may not provide these benefits. You may notice some of these signs that your rubber roof is in need of a professional inspection. We’ve worked with thousands of commercial building clients in our 20+ years and we know commercial roofs. Capital Coating uses high-quality roofing materials because we know that roof repairs are not something that you want to deal with again soon. You can expect our roofing solutions to last a long time and when we do a job, we do it right the first time for lasting results. For high-quality, prompt roofing solutions that you know will last, call Capital Coating today at (717) 442-0979.